The FAA’s recent proposal to decrease the amount of flight simulator experience that students can log toward instrument ratings comes just as computer-based simulation is rapidly becoming more realistic than ever. In January, the FAA announced a new policy that would suspend letters of authorization that allow computer-based aviation training devices to be used for up to 20 of the 40 hours of required instrument flight instruction. That policy change is opposed by AOPA and other aviation groups that recognize the value of flight simulation and the benefits it has brought to airline, corporate, military, and general aviation flight training. Scott Gentile stands a few feet from a Piper Warrior’s revving engine with a microphone in hand. He circles the airplane, stopping at intervals to capture the sound of engine and propeller at various speeds. Gentile founded A2A Simulations in 2003 and has made it an international collaboration of programmers and aviators dedicated to creating ever more realistic digital aircraft. Instrument panels are re-created in exacting detail that includes correct real-world behavior, such as an oil temperature gauge that gradually rises. Gentile introduced a simulated preflight inspection, with squawks that potentially can punish an armchair aviator for skipping a step, and there is even a virtual passenger who can portray a range of moods. “We literally build the entire airplane, inside and out,” Gentile said. A2A’s Cessna 172, like other aircraft models the company has produced, is a self-contained piece of programming designed to be installed on a computer already running Microsoft Flight Simulator. A2A Simulations makes a range of add-ons, including warbirds and vintage aircraft embraced by gaming enthusiasts. The highly detailed virtual Skyhawk is being incorporated into devices made by Redbird Flight Simulation, the market leader in low-cost motion simulators for general aviation. Gentile’s company is one example of the increasing collaboration between pilots and enthusiasts that, combined with ever-faster personal computers, is taking GA flight simulation to new heights. Air traffic control is another. Several online communities match simulator pilots with online, professionally trained air traffic controllers, allowing simulator pilots to interact with other virtual “traffic” under their direction using Internet-based voice communication. Among these are PilotEdge (which caters particularly to general aviation pilots), Vatsim, Boston Virtual ATC, and the International Virtual Aviation Organisation, which operates its own set of simulation networks, primarily in Europe. A cottage industry has developed around Microsoft Flight Simulator, Lockheed Martin’s Prepar3D (which was developed from the Microsoft code purchased by Lockheed after Microsoft got out of the flight simulation business in 2009), and X-Plane, created by Austin Meyer. Third-party developers like A2A Simulations, Carenado, Flight1 Aviation Technologies, and others continue to expand the capabilities of Flight Simulator and Prepar3D with new aircraft models, scenery, more realistic avionics, and other effects as the global aviation simulation community continues to leverage technology in search of ever more realism. At the same time, controlled experiments conducted in recent years have called into question just how realistic an aviation simulation needs to be to give pilots a meaningful learning experience and build skills that transfer into the real-world cockpit. FAA-funded research conducted at the University of Illinois in 2005 found no significant pilot performance differences between PC-ATDs, flight training devices (more expensive systems distinguished in part by a faithful replica of a particular aircraft cockpit and controls), and actual aircraft among groups of pilots given instrument proficiency checks. Studies conducted by Volpe National Transportation Systems have found no discernable difference in pilot performance when full-motion simulators are used with the motion turned off. Researchers in the Netherlands, however, were surprised to find that aerobatic students gained no advantage, in terms of execution of maneuvers, when given a preflight simulator session, compared to counterparts who trained in the aircraft alone—although students who used simulators were ultimately able to master more maneuvers in a given amount of time. 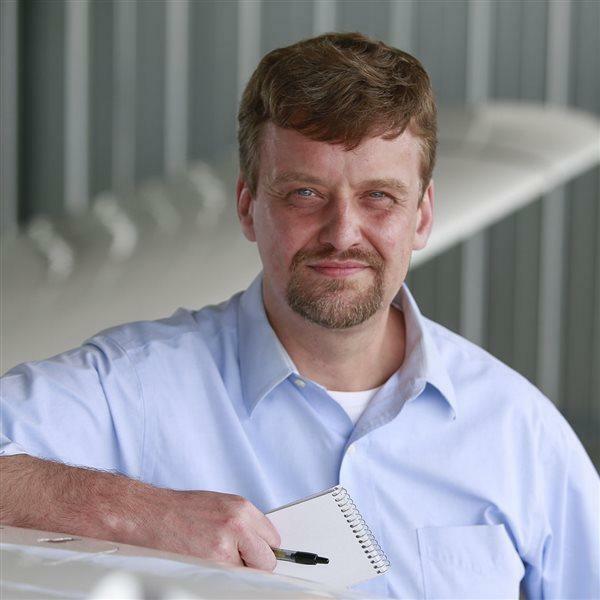 Charles M. Oman, director since 1992 of the Man Vehicle Lab at the Massachusetts Institute of Technology, said decades of research have yet to produce a definitive answer to one of aviation simulation’s central questions: how much realism is enough? And what kind of realism matters most for improving pilot performance? Willinger said Skyport students average about the same amount of total training time as private pilot students who train strictly in aircraft, but with roughly half that time spent in Redbird’s advanced aviation training devices. Redbird is so confident in its technology that it offers fixed-price training, starting at $9,995 for a private pilot certificate. “We can show a definitive economic model based on the use of these devices that is more cost-effective for the flight training student,” and also for the flight school, Willinger said. Edwin A. Link’s parents didn’t support his passion to fly, so the inventor created the Link trainer, the nation’s first simulator, which started out as an amusement park ride. When World War II loomed, the government took a big interest in Link’s trainer. Link expanded his basic design to include features faithful to aircraft behavior, designs, and instruments. A hinged hood was also added. More than 10,000 Link trainers were shipped to military bases all over the world.